Our wonderful Miss Dodds has created the most beautiful school banner for us! 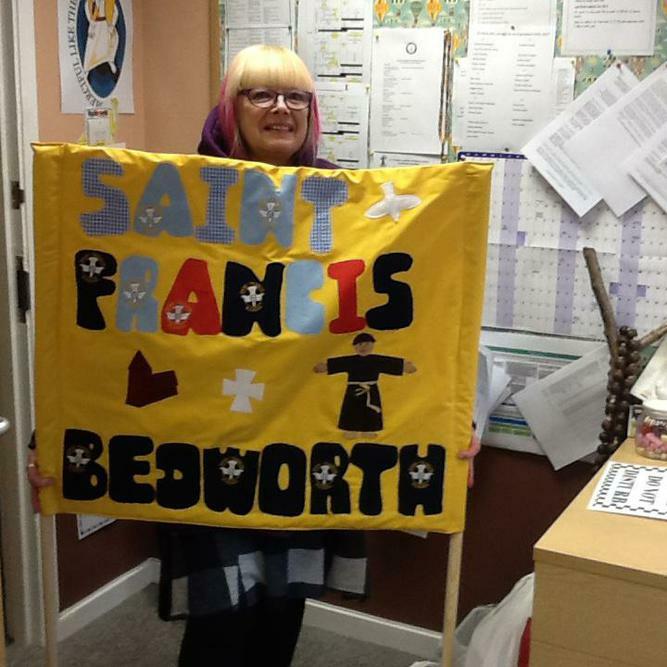 She has taken fabric with our school logo on and produced this fantastic piece of work. We will now be able to process ‘with pride’ when we attend the Good Shepherd Mass at Holy Family Church and St. Chads cathedral and the banner will have an ‘overseas trip’ when Mrs Culleton and Mrs Sedgley take it to Lourdes during the May break.